As we travel and look at monuments, hear about the great achievements of famous personalities and see streets named after them, we should be asking ourselves: Why is it that such a small number of streets is named after women? Why are there so many more statues and historical monuments in honour of men, even though there are so many women pioneering all kinds of different disciplines who are known just as well? In this book we encounter women of historical and contemporary significance in five different cities. How would these women from the past network in today’s age of globalisation, how would they communicate with us? When we follow the traces of these women one fact becomes apparent: there is a lot we can learn from them. You will be surprised, too! 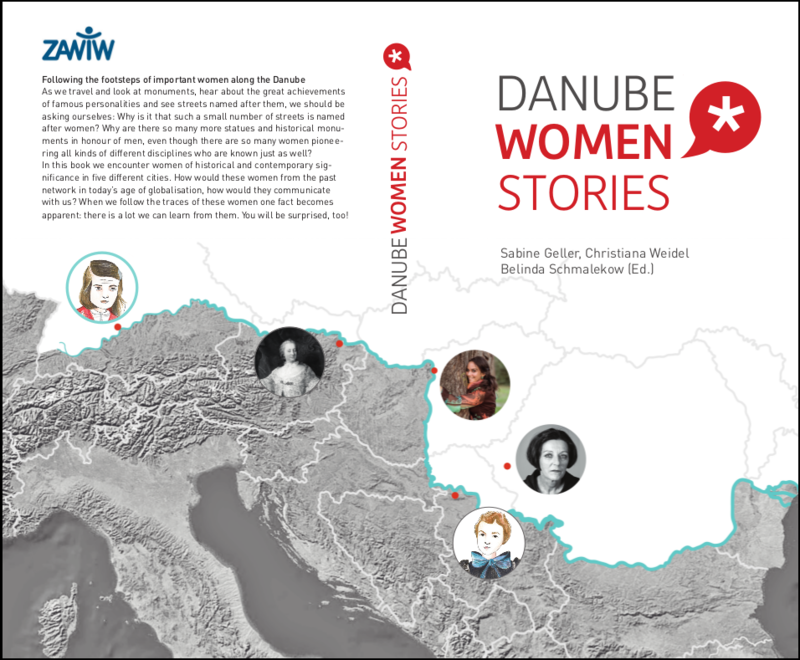 The project “Danube Women City Guide” is supported in the program Perspektive Donau by the Baden-Württemberg Stiftung.